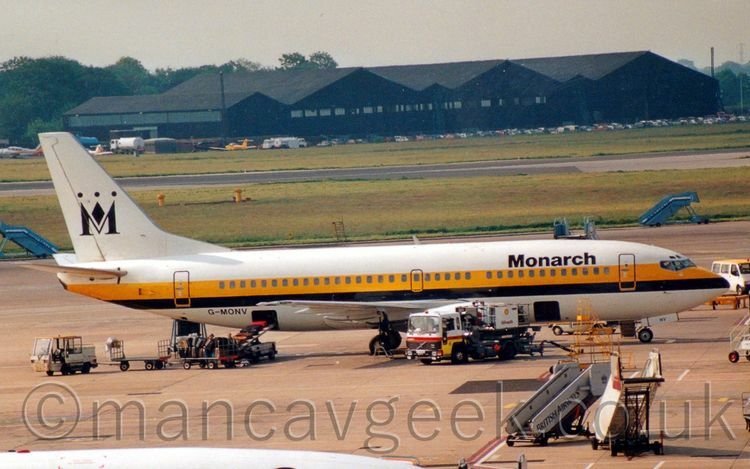 G-MAJS, Airbus A300, Monarch, taxiing out to the runway at Manchester Airport, some time in the 1990&apos;s.
G-MONV, Boeing 737-33A, Monarch, at Manchester Airport, some time in 1992, as seen from the specatators terraces. 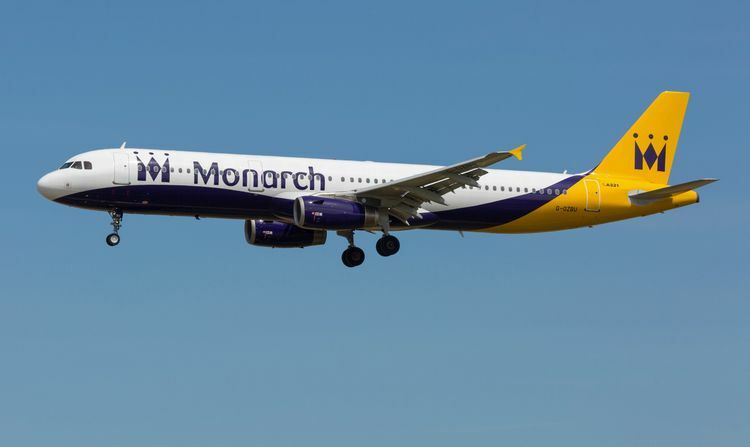 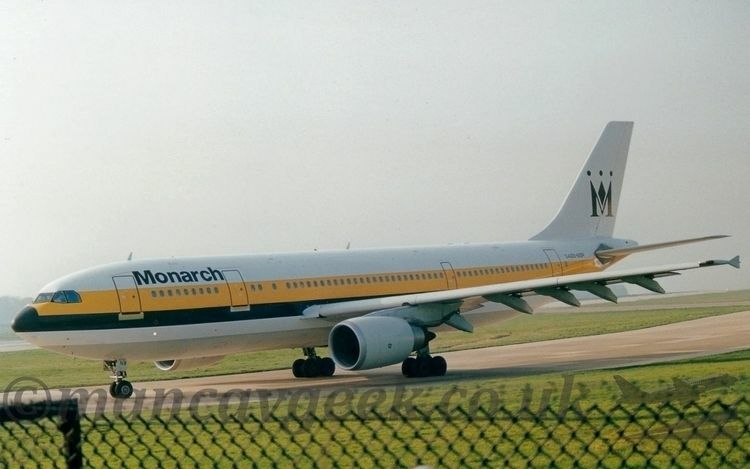 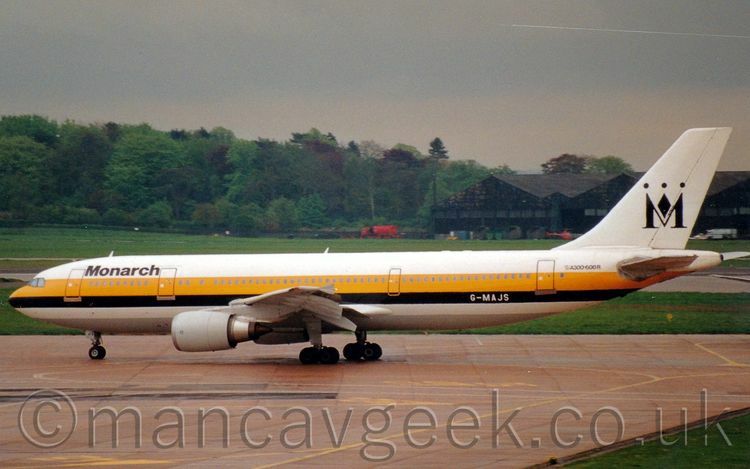 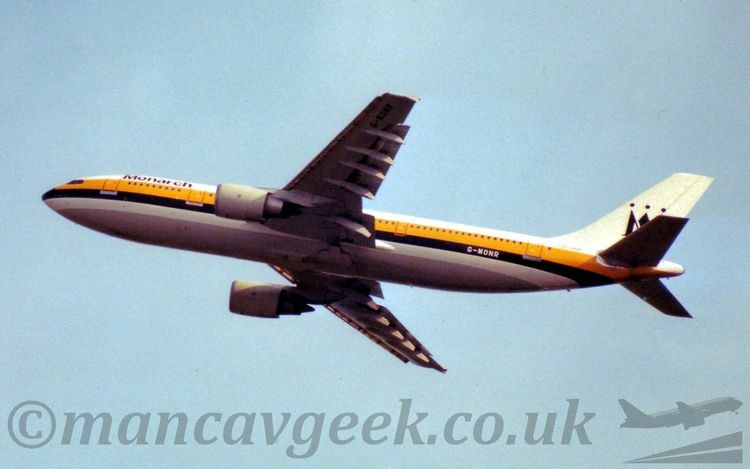 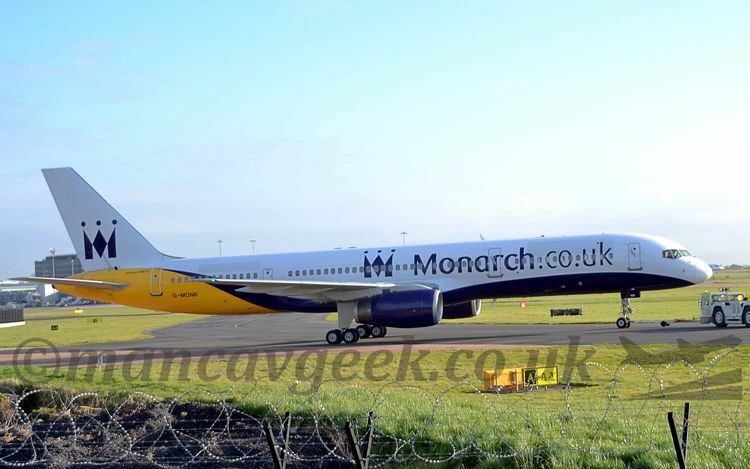 G-MONR, Airbus A300, Monarch Airlines. 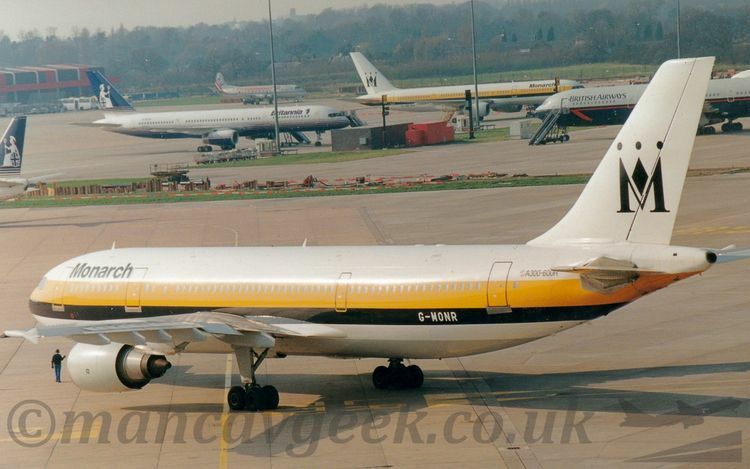 Seen from the Airport Hotel, Manchester, sometime in the 1990&apos;s.